Château du Pin belonged since time immemorial and until 1880 to the Dupin family who passed it on to a certain Jean Leopold BALLAN, great, great grandfather of Jean-Marie Constans which means they are the fifth generation and their son Guillaume will be the sixth. Jean Marie is in charge of the vineyard, whilst his wife Claudette organises the cellar. 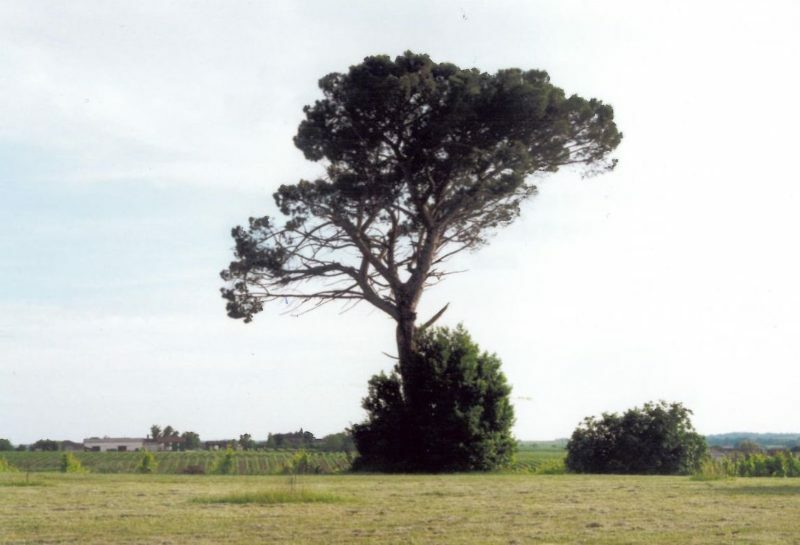 In the garden is the oldest pine tree you’ll find in Bordeaux, which the estate seems to take its name after…which came first, the family name or the tree? Nobody knows. Jean-Marie is a true man of the soil, and, with limited finances has shown what is possible to ensure quality on a budget, whilst Claudette has patiently plunged back every last penny into cellar equipment, which remains quite basic: a battery of large concrete tanks and no barrels at all.